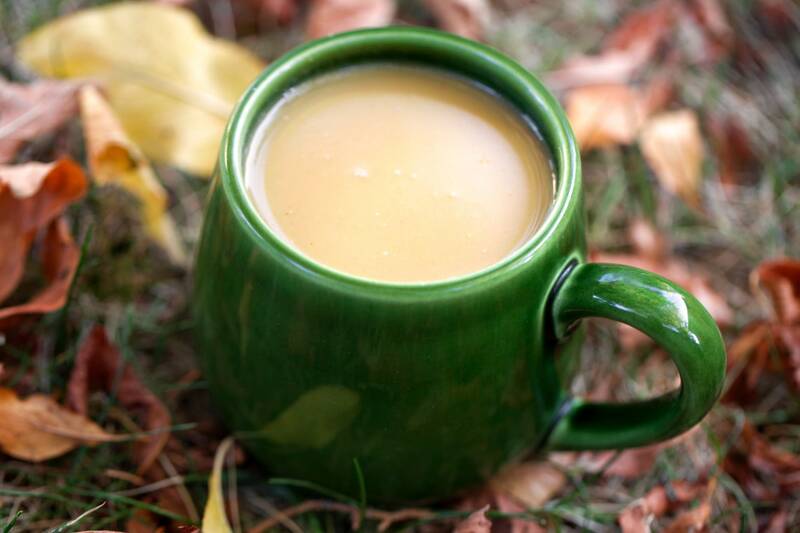 When temperatures begin to drop, turn up the heat with this cozy drink that will warm you from the inside out. Skip the added sugar for a more complex, nuanced brew with much more to offer than simple and bland sweetness. A hint of sweet comes from the flavor of the apples themselves and the apple juice. While notes of ginger, cinnamon, clove and nutmeg are what make this beverage a true standout. This seasonal treat keeps both kids and adults coming back for one glass after the next. Blend apples, apple juice, and lemon juice in a blender until smooth; strain through a fine-mesh strainer, pressing solids with the back of a spoon to extract as much liquid as possible. Discard pulp. Alternately, put the ingredients into a deep bowl or pot and blend with an immersion blender until smooth. Stir strained apple puree, ginger, cinnamon sticks, cloves, and nutmeg together in a pressure cooker. Seal the lid on the pressure cooker and cook on High Pressure for 10 minutes. Relieve pressure naturally for at least 15 minutes before relieving remaining pressure through the quick-release valve. Strain through fine-mesh strainer once more, catching the whole spices and any other sediment. Discard solids. To turn this recipe into an adult beverage, add a shot of rum, whiskey or brandy to the mug. Enjoy with good company on a chilly autumn evening! Per Serving: 160 calories; 1g fat; 41.4g carbohydrates; 1g protein; 0mg cholesterol; 10mg sodium. I've been making this cider well after the winter holidays. It just warms you up during these color Pacific Northwest days. Sometimes I like to only use 1 cinnamon stick for the cider and then add a little Fireball Whisky at the end. 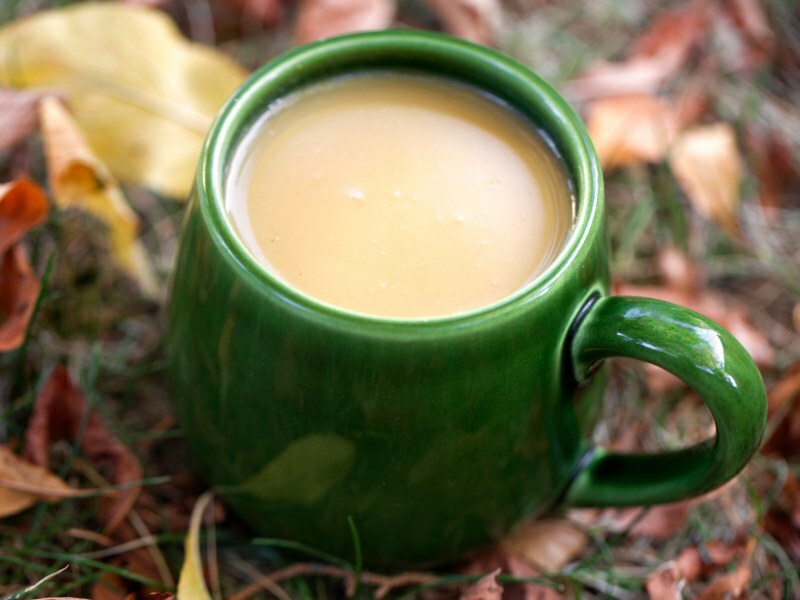 Apple cider is truly one of the best treats of fall and winter. Combined with the spices this one is hard to beat. I love that I can make it in a few minutes in my pressure cooker instead of hours in the slow cooker or on the stovetop. Yum! This apple cider was so good! It was also very quick and easy to make in my pressure cooker. I'll be making this all holiday season for sure. 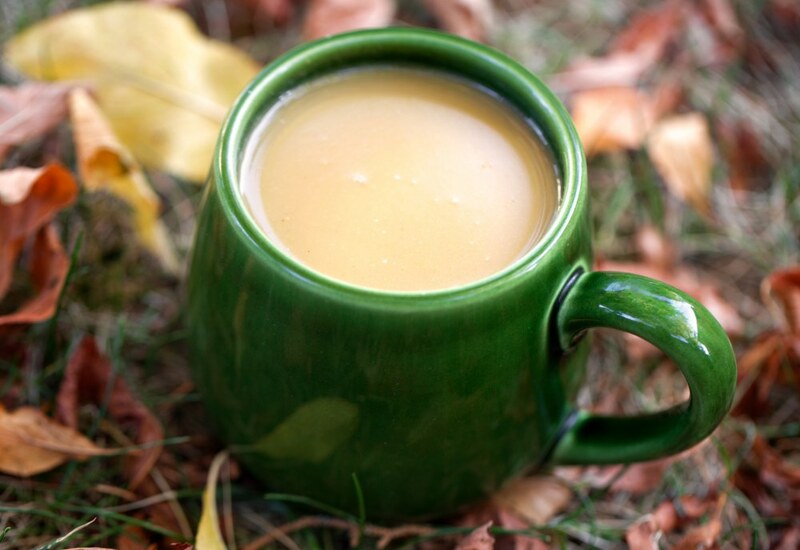 This warm cider is so delicious and festive! It wasn't too strong, the spices were the perfect amount. Very good recipe. Wasn’t sure if I had to use Granny Smith apples or green/yellow apples but I used Granny Smith. It was sweet and sour, I really liked it. I made a kids batch and an adult batch with brandy.